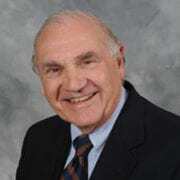 Dr. Glass has been on the Board and/or Advisory Board of FRI since 1983. He is the National Medical Director of BayMark Health Services and has over 40 years of experience in the integration and treatment of mental illness and substance abuse in adolescents/adults across the full spectrum of treatment modalities, from inpatient acute care setting to outpatient treatment programs. Over the past three decades, Dr. Glass has served as a consultant to the State Department of Maryland, Pennsylvania and Delaware and developed six inpatient psychiatric programs in six different hospitals in Maryland and is Board certified in Addiction Medicine. Dr. Glass was the Director of Adolescent Psychiatry and founded the first formal family therapy program at Johns Hopkins University School of Medicine and has been on its faculty for over 35 years. Dr. Glass is currently on the Baltimore County Substance Abuse Advisory Council (since 1990) and is a founding and current member of the National Advisory Council for Johns Hopkins School of Education. Dr. Glass is board certified in Pediatrics, General Psychiatry and Adolescent Psychiatry and is certified by the American Society of Addiction Medicine (ASAM) in the practice of addiction medicine. Dr. Glass received his B.A. degree from Hamilton College, his M.D. from University of Virginia and his Master’s in Education from Johns Hopkins University. https://friendsresearch.org/wp-content/uploads/2017/09/glass-new-e1514128687140.jpg 225 225 awp-admin /wp-content/uploads/2017/11/fri-banner-logo-2.jpg awp-admin2017-09-28 15:58:282017-12-20 19:55:54Sheldon D. Glass, M.D. Curtis L. Decker, J.D., Vice Chairman Charles O’Keeffe, M.B.A.